There is a new VERSION 3.0 of the Excel Plugin. This post refers to VERSION 2.0 compatible dashboards but the information herein still applies to VERSION 3.0 compatible dashboards – To install Excel Plugin VERSION 3.0 and download compatible dashboards, please go here. Looking for INDUSTRY Mondrian 3.0 – Please go here. 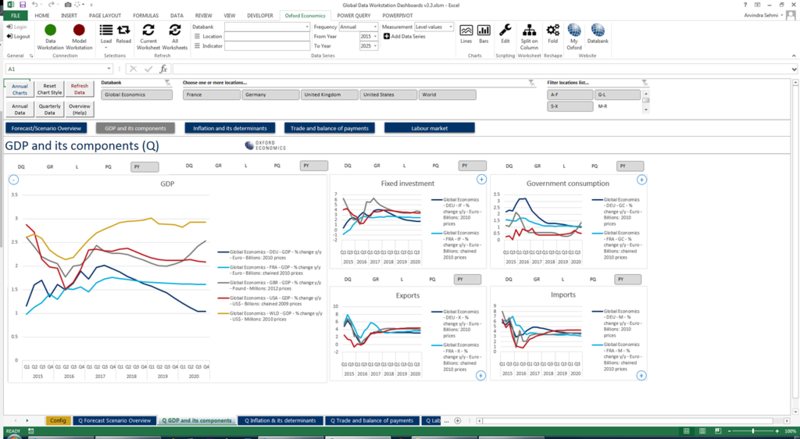 Oxford Economics Excel Data Workstation has proved to be immensely popular with customers for automating downloads of economic forecast data from Oxford Economics’ various data services platforms. We would like to introduce you to Mondrian Dashboards Version 3.0 - a new set of compelling examples of high quality dashboards built for Excel Data Workstation. You can download the Excel workbooks and get going immediately. Of course, you need the latest version of our Excel add-in but the dashboards themselves run OOTB - out-of-the box! We placed the big dashboard refresh button in a more obvious position and improved the styling of pivot charts so they display properly across all supported Excel platforms, regardless of the number of data series being plotted. Thanks for your feedback which helped greatly. All Locations available for both Quarterly and Annual data. This can be changed in the configuration worksheet. 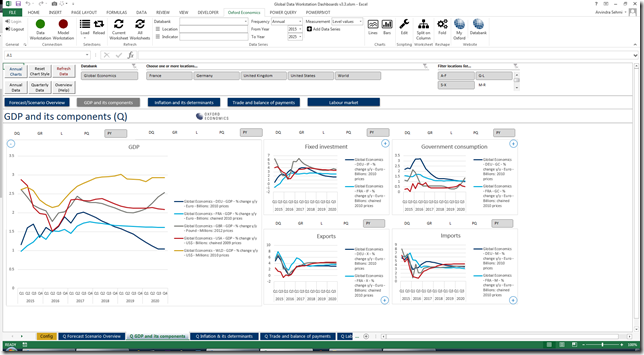 You have installed Oxford Economics Excel Data Workstation (>= Version 2.5). This is a free add-on to any Oxford Economics data subscription. Please note, since we use Power Query together with Power Pivot’s data model, this workbook is not compatible with Excel 2010 and lower. You have installed Oxford Economics Global Data Workstation. You do not require a subscription to all countries and region aggregates and the dashboards will automatically adjust to accommodate this. A handy configuration sheet is provided which contains a form and data tables which enables you to configure data measurements and locations to download. The dashboards adjust themselves automatically. You have installed Oxford Economics Global Model Workstation. Please note, you must be connected to Global Model Workstation and have the View & Download Data application open in order to refresh the model dashboards. 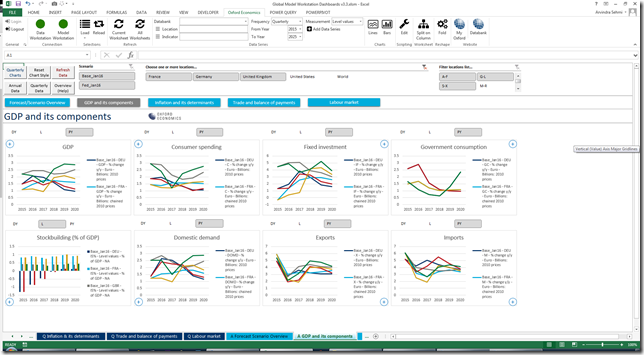 Mondrian Excel dashboards are packaged as ZIP files and are available for download in the Oxford Economics website archive. Type Excel Dashboard in the left hand search box. Click the search icon or hit Enter. Choose Version 3.0 of the specific dashboard(s) to download. 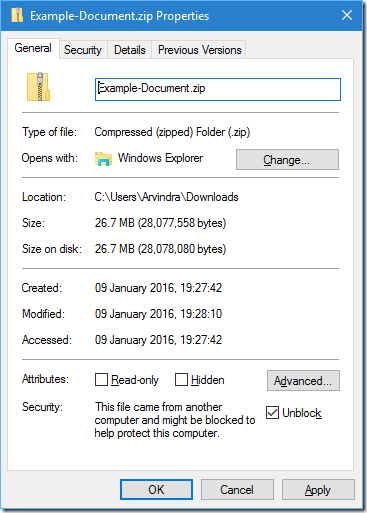 ZIP files should be “unblocked” before their contents are extracted. After you have downloaded a Mondrian Dashboard ZIP file right-click it in Windows Explorer, choose Properties from the context menu, click the Unblock button in the lower right-hand corner of the resulting dialog, and hit OK. LOOKING FOR MONDRIAN 2.0 – PLEASE GO HERE. Please note: Dashboards are distributed with randomised forecast data. 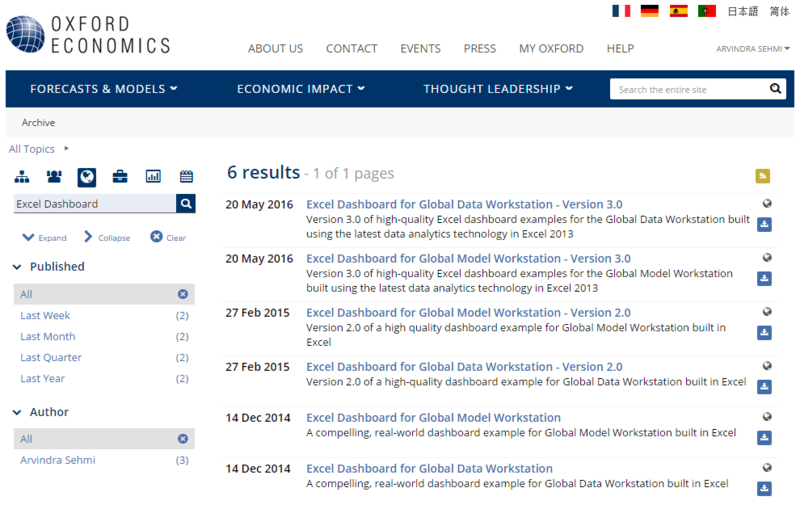 To load data you must have a trial or full subscription to Oxford Economics Data Services. Please contact us for more information. Download the zipped Excel File ‘Mondrian Global Data Workstation Dashboards v3.3-20160520.zip’, unblock it as described above, and then extract ‘Global Data Workstation Dashboards v3.3.xlsm’. Open it. You may need to enable macros. Go to the Overview worksheet tab and please ensure you satisfy all prerequisites. Click ‘Refresh Dashboard’. You will be advised to login if you are not already logged in, and to install the latest version of Excel Data Workstation if you don’t have it. Download the zipped Excel File ‘Mondrian Global Model Workstation Dashboards v3.3-20160520.zip’, unblock it as described above, and then extract ‘Global Model Workstation Dashboards v3.3.xlsm’. Go to the Config worksheet tab to configure measures and locations you wish to download. Click ‘Refresh Dashboard’ on any dashboard worksheet or the Config worksheet. You will be advised to login if required, and to install the latest version of Excel Data Workstation if you don’t have it. That’s it… it really is as simple as that! 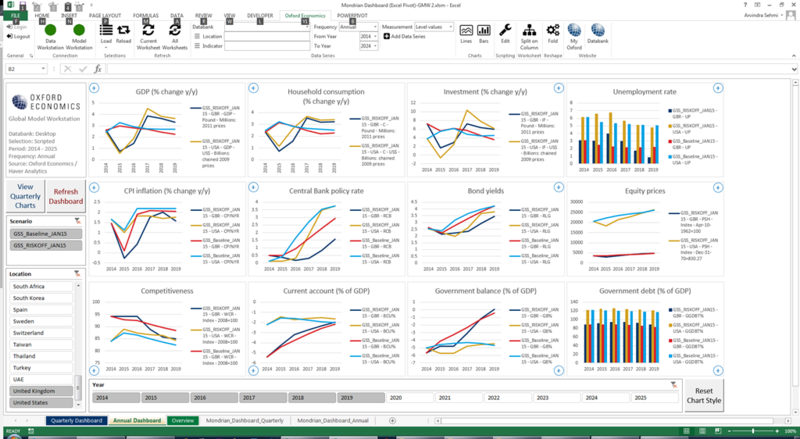 The dashboards are created using standard Excel Pivot Charts capabilities. The raw data is manipulated using the Power Query tool, and the Pivot Table data model is built using the Power Pivot tool. The combined use of Power Query and Power Pivot is not compatible with Excel 2010 and lower. Excel 2013 64-bit is recommended, though it should work with Excel 2013 32-bit as well, but will perform more slowly and could run out of memory. Although the dashboards leverage a comprehensive Excel Data Workstation VBA automation interface, only interested users and those who want to make breaking changes will ever need to look at the code. All the code is available to inspect and reuse as you wish, but most of it is encapsulation of Excel Data Workstation’s interop interface and shouldn’t be touched by the end-user. The ‘Refresh Data’ command is implemented in the Main module. Other useful code is in Miscellaneous and ZoomCharts modules. Although Power Query and Power Pivot technologies greatly minimise the memory footprint required to produce these complex dashboards in Excel, if you have other applications running at the same time they can negatively impact dashboard performance. The dashboard for Global Data Workstation is refreshed via a script executed by Excel Data Workstation in the raw data sheet. This script has a predefined set of indicators, period, data measures, and locations. Any changes to the script which results in an increase of the amount of data downloaded, will affect performance. The limits of your Excel application performance depends on your PC environment, so please contact your local IT support to increase computer memory, upgrade to 64-bit Excel 2013, or simply restrict the number of countries and/or measurements in the Config worksheet. Note, the script uses db. [Global Economics] instead of db.Desktop when connecting to Global Data Workstation. You will definitely get better performance using 64-bit Excel with lots of computer memory. To free memory, close as many applications as you can before starting Excel. As each dashboard is in a separate worksheet, it adds to the complexity of the Excel workbook and could pose a maintenance overhead if you’re not careful when making changes. If you encounter any problems with Excel Data Workstation, please contact Oxford Economics for support via email at support [at] oxfordeconomics.com, but before you do so, please attach a copy of the Log file. You can find the Log file by following the instructions in the User Guide (Oxford Economics Menu | General | Arrow | User Guide). 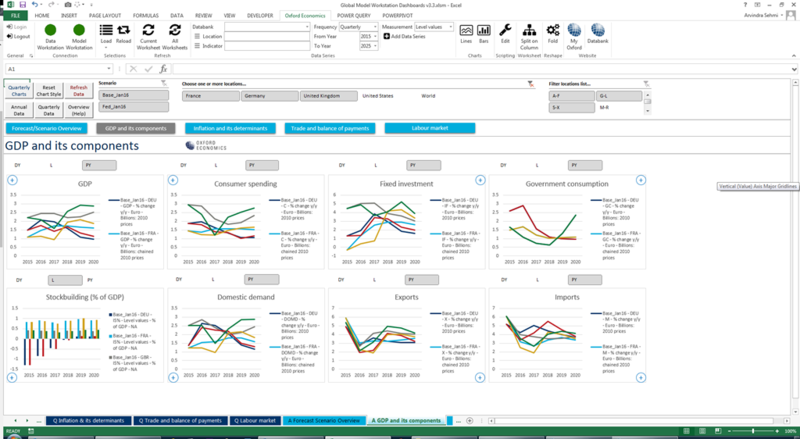 Oxford Economics can provide support and training to help you create your own dashboard customisations. Please contact your nearest sales representative. Arvindra Sehmi is Chief Information Officer and Director of IT at Oxford Economics. Shweta Das is Technology Marketing and Support Analyst at Oxford Economics.